CJ™ brake calipers are made of Europe imported aerospace grade billet aluminium instead of cast or forged melted aluminium alloy. 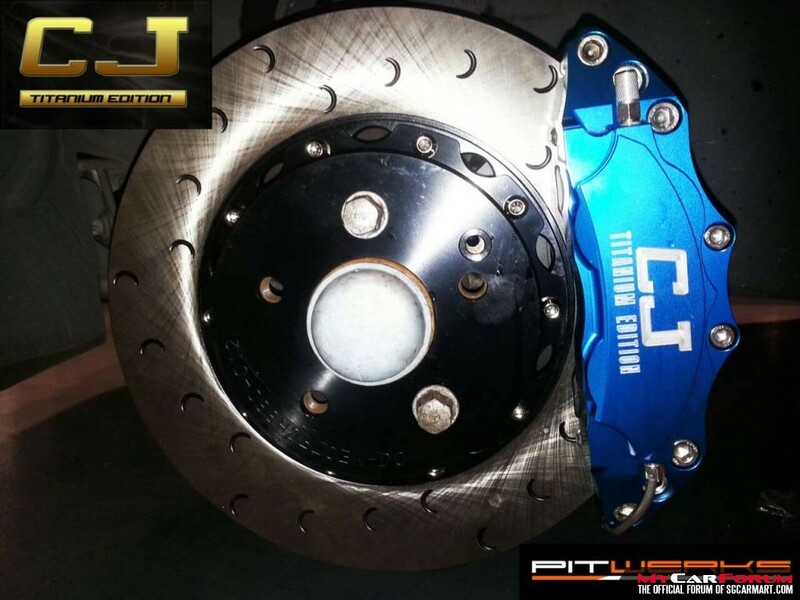 Unlike a mould of cast or forged melted aluminum alloy which is usually used for a couple of brands by a factory, making from billet aluminium allows CJ™ to have a design of its own. Additionally, aluminium alloy from Europe possess excellent tensile and yield strength. Although it is more time consuming to make with billet aluminium, it ensures optimum precision and smoother surfaces. 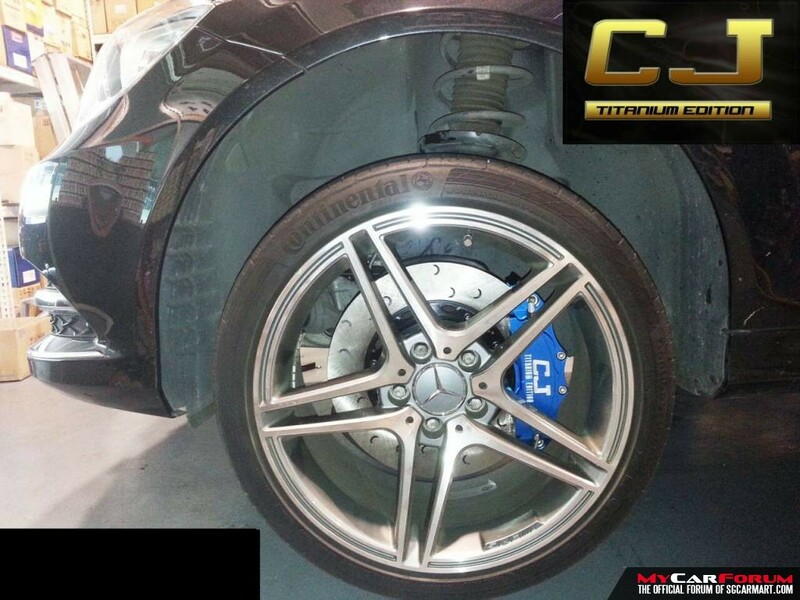 With optimum precision, CJ™ brake calipers are air pressure tested at 3,000psi without leakage. These pistons accommodate added dust boots and new type of oil seals. With added dust boots provide enhanced protection against dust and dirt while the new type of oil seals provides enhanced braking performance and shorter change out interval for the brake pads. Additionally, differentiated piston diameters provide even wear for the brake pads. Coloured anodizing provides an attractive first look but the colour fades gradually when exposed to UV and washing chemical. 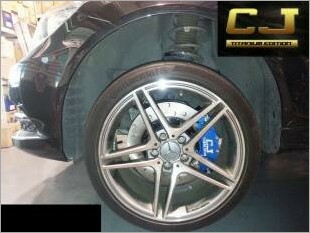 For this reason, CJ™ adopts new hard wearing painted finishing. Although this finishing is more time consuming, it provides excellent resistance to UV and washing chemical, and excellent colour retention. 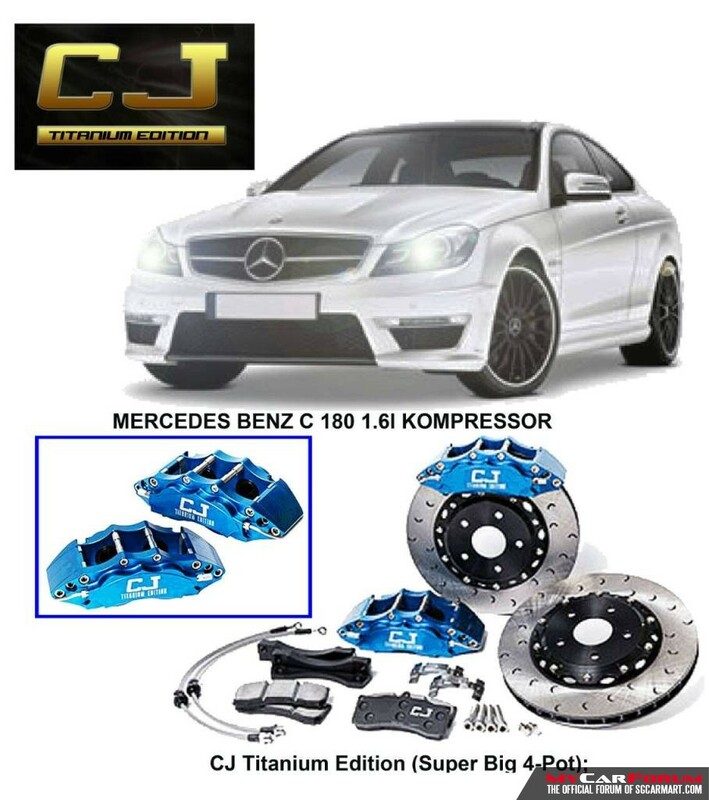 I am interested in the "CJ Brake Kit".